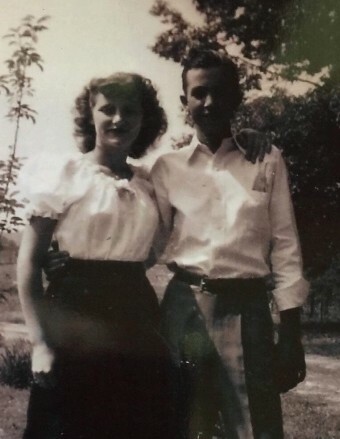 James "Cateye" Burton Oglesby, 89 of White Plains passed away Thursday, April 11, 2019, at his home. Born August 29, 1929, to the late Marvin and Willie (Hanks) Oglesby of White Plains. He was a dedicated member of White Plains Missionary Baptist Church and was a retired coal miner after working for Badgett, Cimarron and Andalex Mines. He has never met a stranger and truly loved people. In younger years he enjoyed hunting and fishing, he has always been a proud farmer. The family appreciated the caregivers that sat with him and his late wife, Lola, it brought them comfort. Preceded in death by his wife of 70 years, Lola Mae Oglesby; infant son, Mark Trenton Oglesby; brothers, Bailey, J.P. and Bill Oglesby; and sisters, Gwendolyn Ryan, Lula Belle Carlton and Mae Bea Williams. Survived by three daughters, Beverly (Darrell) Menser of St. Charles, Pam (Paul) Allen of White Plains and Gina (Mark) Larkins of White Plains; six grandchildren, Lance Menser, Ty Menser, Tiffany Baize, Tara Parker, Malcolm Larkins and Casey Larkins; ten great-grandchildren, Colten, Cymantha, Lynsey, Leighjaye, Kayley, Kolby, Lorali, Samuel, Elizabeth and Sarah; and a multitude of nieces and nephews. A Celebration of Life service will be held to honor James Burton and Lola Mae Oglesby (passed 2/4/2019) at the White Plains Missionary Baptist Church on Saturday, April 27, at 4:00 P.M. Visitation will begin at 1:00 P.M. at the church. There's still time to send flowers to the Visitation at the White Plains Missionary Baptist Church from 1:00 PM to 4:00 PM on April 27, 2019.